I wonder how the date 2018 August 3 is connected to the Lunar Eclipse images and description in the second panel of that calendar? At first, I thought the APOD team were simply practising a correct date format with the most significant element on the left (Year, Month Day) but, alas, no - soon after, in the description text, we are returned to stupid land and a mixed format, "Coming up on January 21, 2019"
I think the connection is that the images are from the APOD of 2018 August 3 which shows 3 stages of the 2018 July 27 total lunar eclipse. I agree that it is a bit misleading and confusing. i have no avatar wrote: I think the connection is that the images are from the APOD of 2018 August 3 which shows 3 stages of the 2018 July 27 total lunar eclipse. I agree that it is a bit misleading and confusing. Similar to this image (middle of 3). 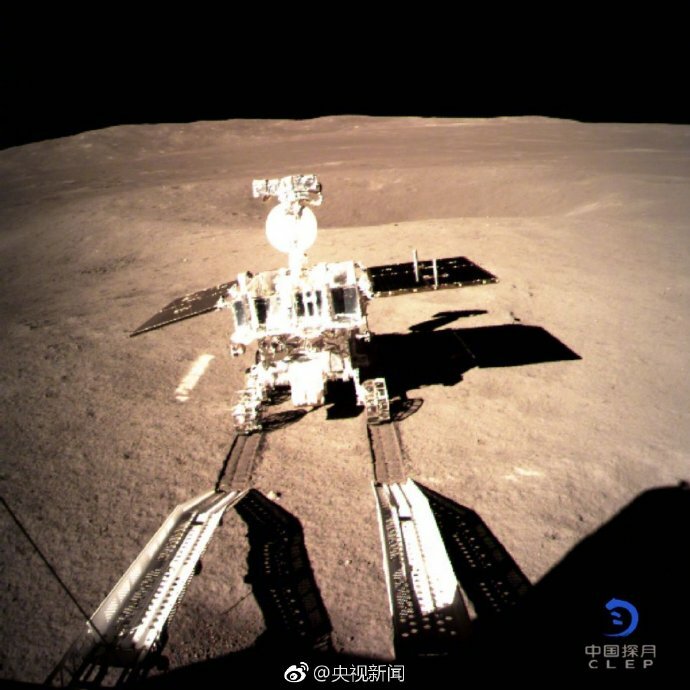 Today: Yutu 2 (Jade Rabbit 2) lunar rover departs the Chang-e lander on the far side of the moon. Also: Presently, the date at the top says "2019 January 3". I posted a message to hopefully make the powers that be aware of this (my first post). I'm not even going to bother to post a link to where this was previously posted on the fora.